Luis Rodriguez has joined First National 1870 as vice president and commercial relationship manager. 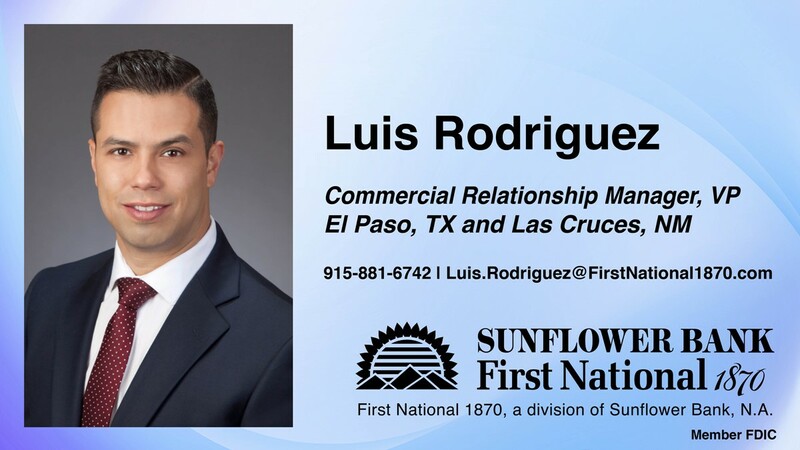 In this role Rodriguez supports the growth of businesses in both El Paso and Las Cruces. He has over twelve years of experience at national and community banks with expertise in providing commercial banking services and credit analysis. He holds an M.B.A. and a B.B.A. from the University of Texas at El Paso. First National 1870 is a division of Sunflower Bank, N.A. and has six locations in El Paso and Las Cruces.